How many ways can you use "ground beef" in a dish? Well, I asked myself that because of my busy schedule, we don't have much meat left on the freezer but ground beef! Do I cook beef patties again? Or maybe mix it with vegetables? It was a Friday night and I usually cook something unique (ahem, unhealthy) for the family! It is the end of the work week so I may at least spoil Mr. AMW right? As I researched Google for more beef recipes, I don't find a lot so I just used my crazy imagine and thought of this! Note: This doesn't look good on photos but tastes really good! I am quite proud of this dish as the whole family devoured this dish to the last crumb! 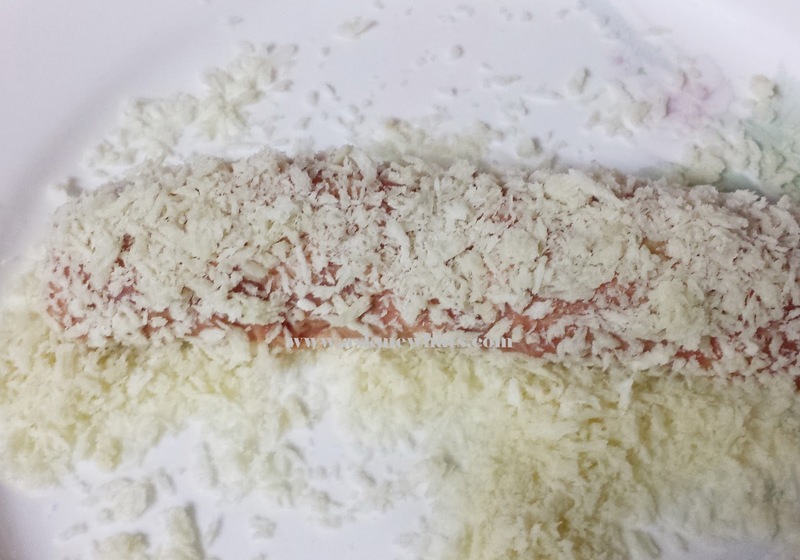 Cheddar Cheese cut into sticks. 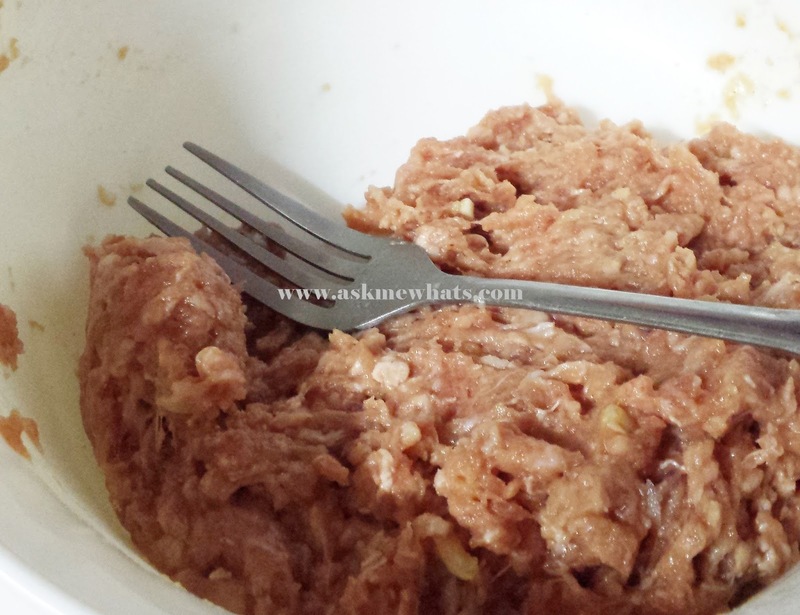 Mix ground beef with crushed onion and garlic. Add in soy sauce, salt, pepper to taste. 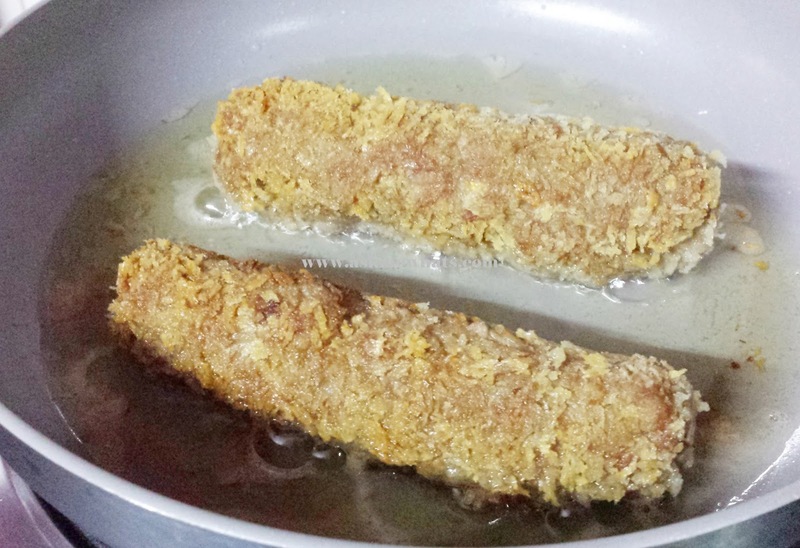 Add in egg and a good amount of cornstarch for the meat to "sticky together". Boil an egg. 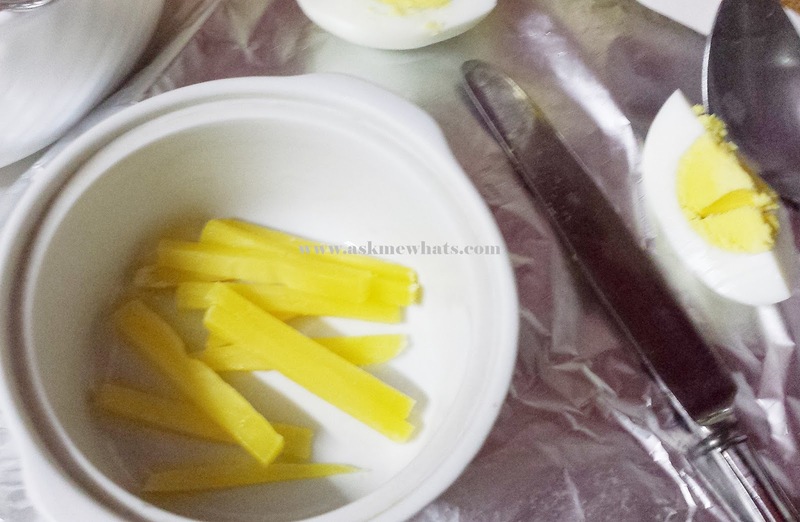 Slice cheddar cheese and egg into thin slices. 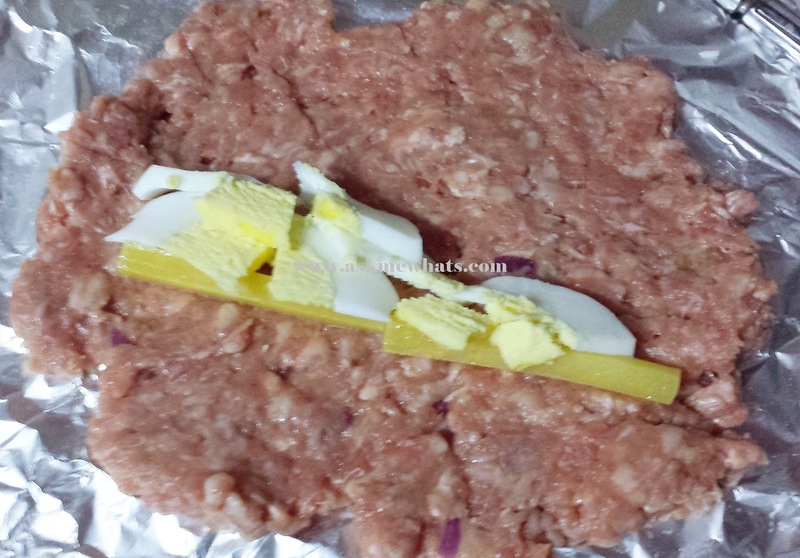 Using a Foil Wrap, mine is from Glad, pour in a good amount of the ground beef mixture and create a thin pattie. Add in slices of cheese and egg as shown on photo below. 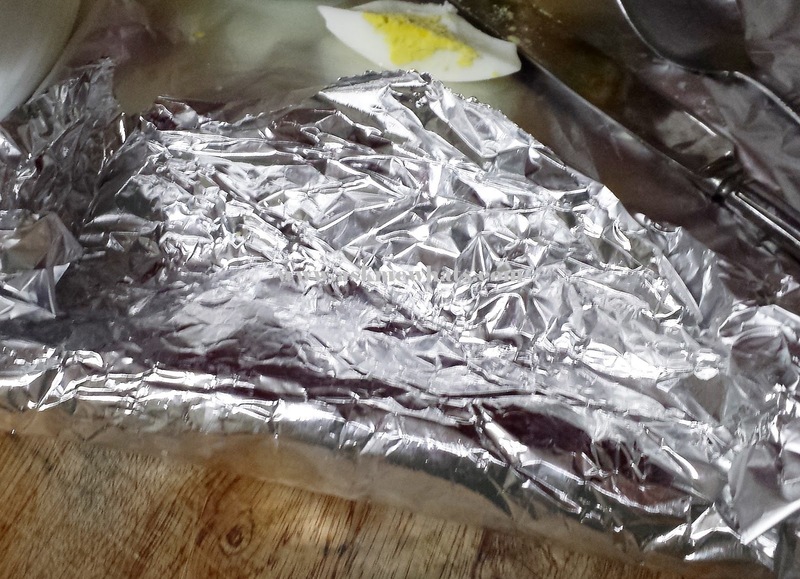 You may use the Foil Wrapper to "roll" the meat nicely. The roll would look like this! 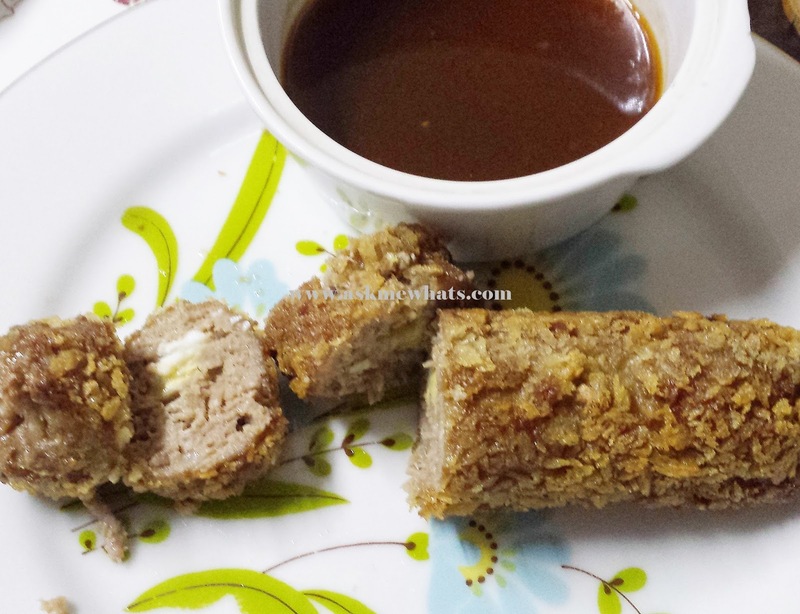 Sprinkle your Beef Roll with bread crumbs. Lots of bread crumbs! Pan fry or you may cook this in an oven! Voila! I also did a sweet BBQ sauce on the side. But the family says the dish itself is flavorful even without the extra sauce! The sauce was a winner though! Everyone liked it though I kinda forgot the exact measurements I used! I will try the sauce again and will share the exact recipe soon! Will you try to cook this dish? 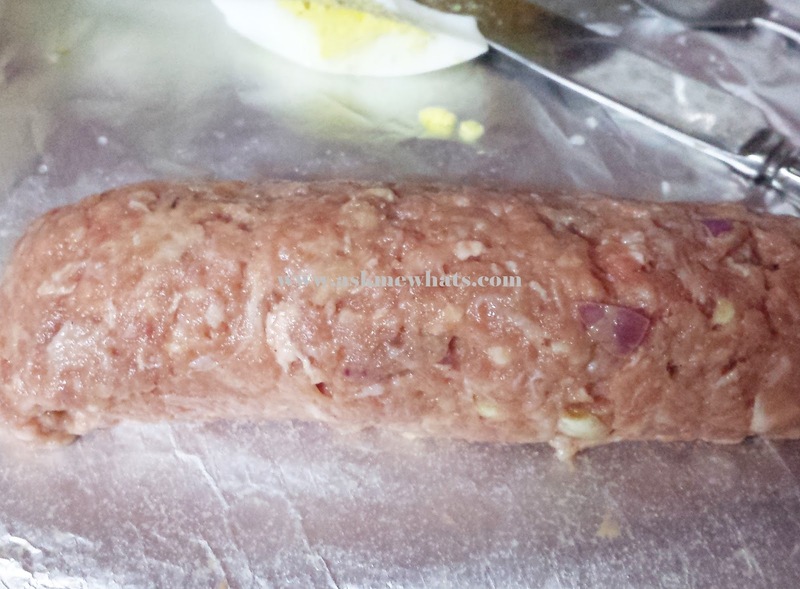 Do you have any other ground beef recipes? wow another great recipe ms nikki (and healthy too!) i would definitely give this a try!